Universal Color becomes a quest for looking for the overlooked. 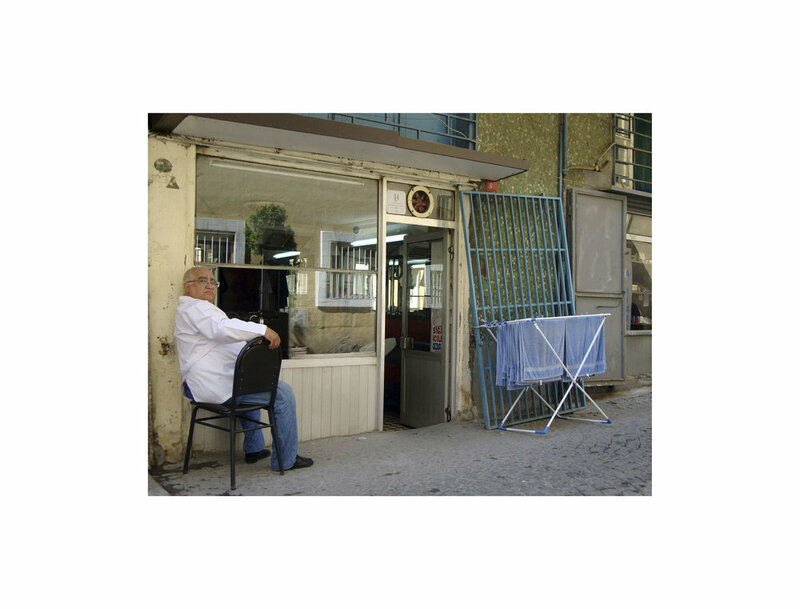 I roamed the city in search of a mundane aspect - a daily characteristic and quality of life in Istanbul to expose the other color that which is not seen through the lenses of the tourist. The photographs of the towels hung to dry in front of every barbershop in every neighborhood of Istanbul became my colors of Istanbul. 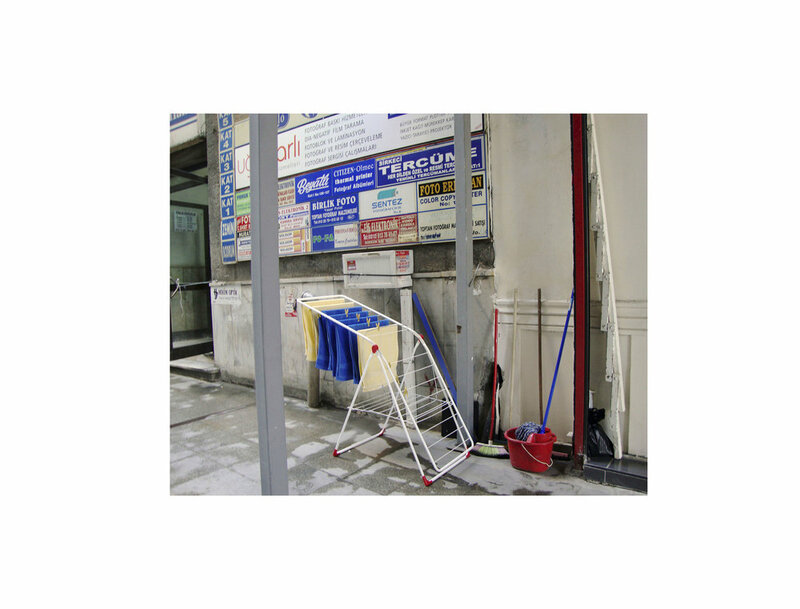 Each image reveals not only the colorful towels but also the surrounding environment seeps in exposing the everydayness of the street life if the city. They serve as still life's capturing a moment in time in transition. A section of a towel in each image is colored matched via a pantone system and then the image is printed juxtaposed against that band of universal pantone color. When installed in the gallery each image is then coupled with a small porcelain form, a formless form representing only the space of the hand. The porcelain form is surfaced with the pantone-matched color. The pantone number serves as the reference for each image. The use of the universal pantone matching system provides a link between the specificity of locale – the personal and the collective universal.